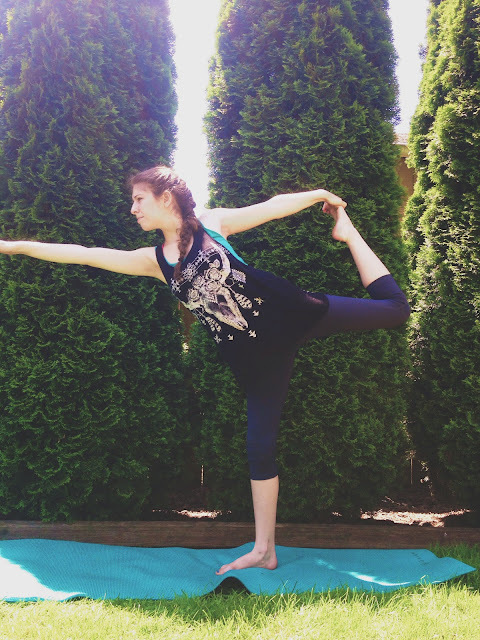 Yoga has positively impacted my life, and has influenced a healthier pattern for me to follow. Spring term is coming to an end, which means no more organized yoga classes at 7am. That's alright, because with the two terms of yoga that I have taken part of, I have created a home practice of various poses. It is addicting to stretch, and it feels so good to begin your day with a little yoga. It's not only wonderful for your body, but beneficial for the mind. The principles of yoga (yamas and the niyamas) help create a positive focus on life. 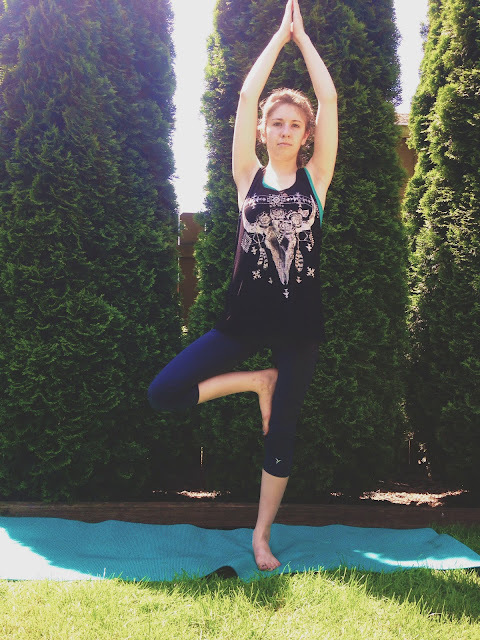 Since I have been taking yoga, I have been happier and much less stressed. 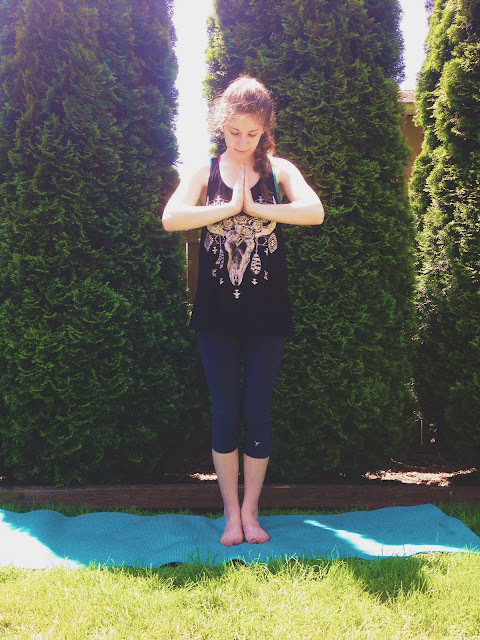 Here is a 15 minute yoga sequence that I have put together. Some people say that they wish to practice yoga, but they just don't have the time. Well, everyone has 15 minutes. 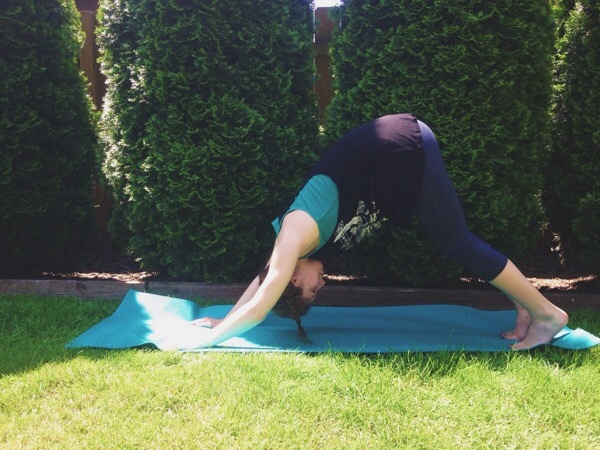 De-stress and add a little yoga in your life. First, begin in a lying down position on your back. To on your left side, or right side and cradle your head in the crook of your arm that is against the mat or the ground. Reach your opposite arm out in front, and breathe in through your nose, and out through your nose. Rotate your torso, and bring your extended arm skyward, and wiggle your fingers, then bring it behind, and extend it beside you. Do this on each side, the left side and the right side. Do this about five times on each side. This prepares your body for yoga. Next, sit in stacked log position, and breathe in through your nose, and out through your mouth. 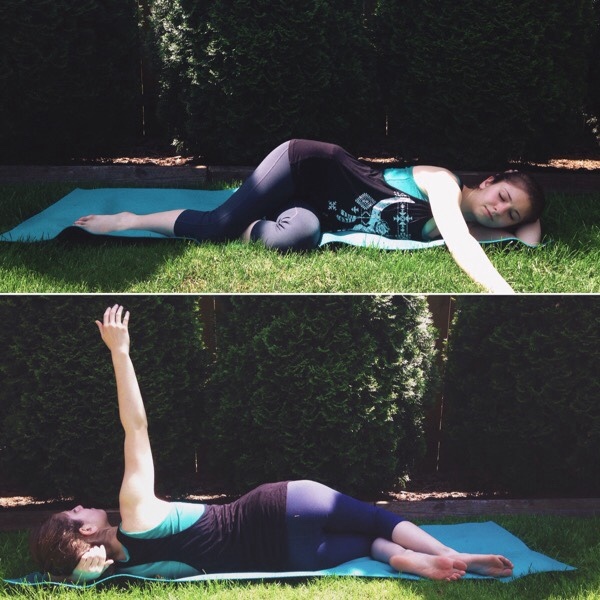 If you would like to extend the position, hinge forward and reach your arms out to stretch your hamstrings. You can switch legs from left to right leg to stretch and benefit each leg. 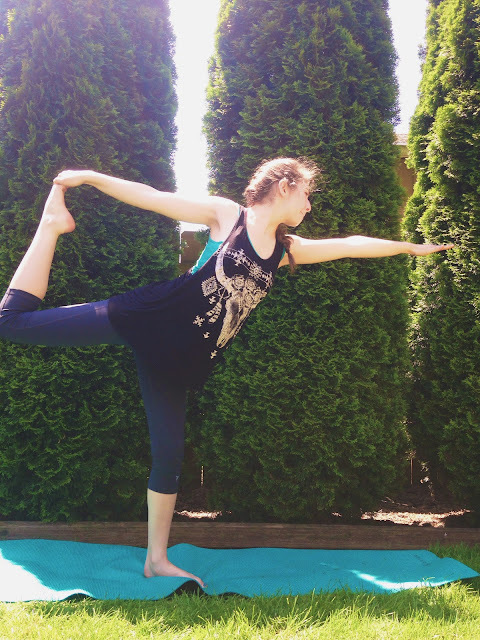 You will feel more balanced if you practice poses on each side of your body. Move on to your hands and knees for cat and cow. To get the most out of this pose, push out with your shoulders, but keep palms grounded on the earth, and push away with your hips, but keep your knees grounded on the earth. Arch your back and lift your head for cat, and inhale. Round your back and pour your head down, exhale, and push your shoulders out, and your hips away. Remember to keep your palms and knees grounded. Move into Child's pose, but rest on your toes. This is a preparation for Downward Facing Dog. Push on your toes, and attempt to straighten or almost straighten your legs. Pour your head down, tread your heels. 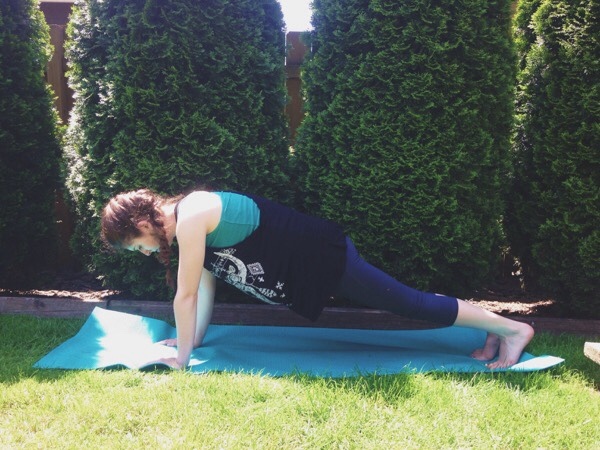 Sink down into plank position, and back into Child's pose. Remember to keep your hands and feet in the same spot. 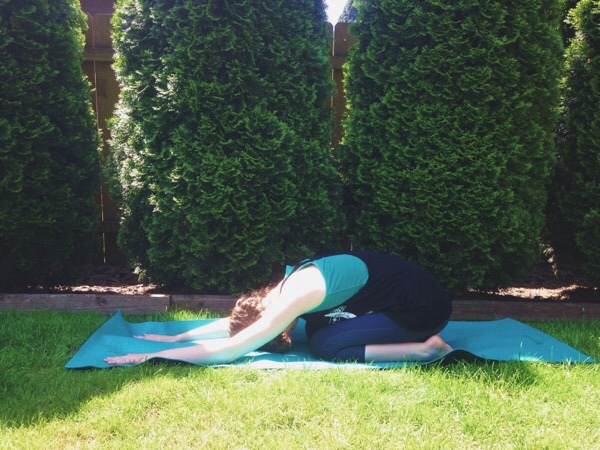 Don't move your feet and hands to accommodate the poses, move your body to accommodate the poses. From Child's pose, push up with your hands, and stand up. Extend your left or right leg behind you without turning out your foot. Sink down as deep as you can, and raise your arms to praying hands skyward. This is Warrior 1. 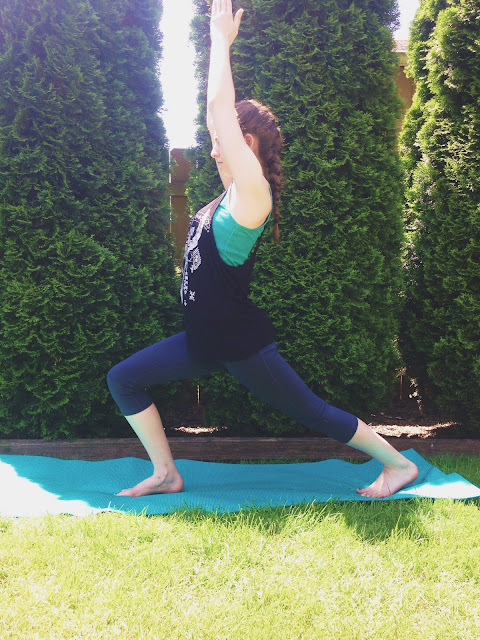 Move back into standing position, or Mountain pose. Raise and bend your left or right foot to your calf or thigh, and raise your praying hands skyward. Move back into Mountain pose, and with the other leg, move into Warrior 1. Sink deep into the lunge. 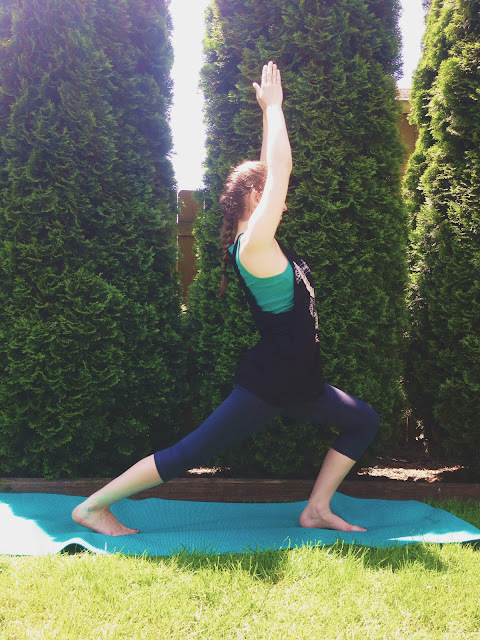 Go back to Mountain pose, hinge forward as if you are moving into a forward fold, lift a leg up, and grab it with the same side arm, and extend the opposite arm out. This is Lord of the Dance pose. Do it for the other side. 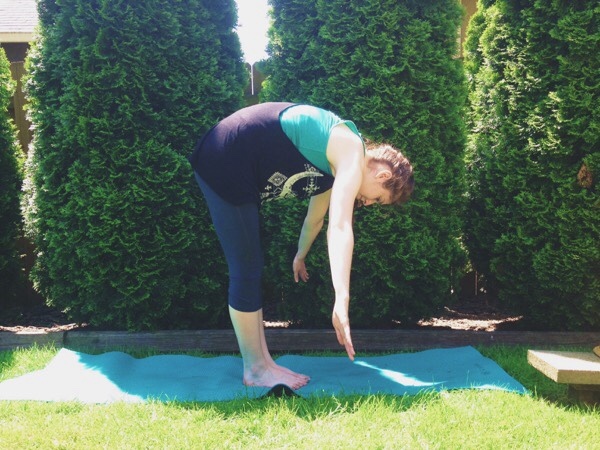 Move back into Mountain pose, and sink into Pigeon pose. 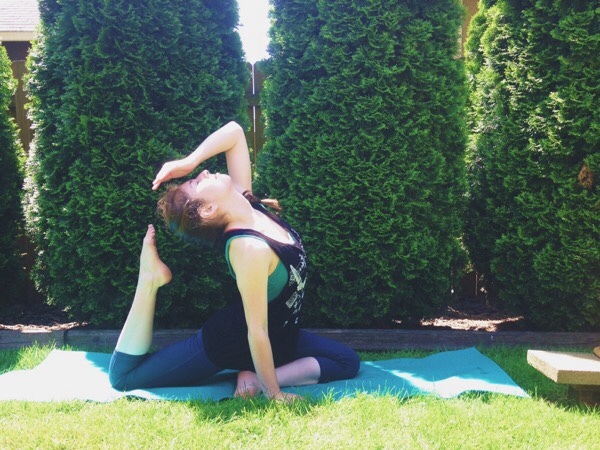 For Pigeon pose, place your right hand down, and cross over and thread your leg or foot through. Your left leg calf should be in front of you, and your right leg should be behind you. Lift your foot, place your right hand down on the earth for support. Lift your left arm, and try and grab your foot. Arch your back, and attempt to grab your foot. It is obvious that I need more flexibility in my life, but I am getting to where I want to be gradually. Do this for the other side too. 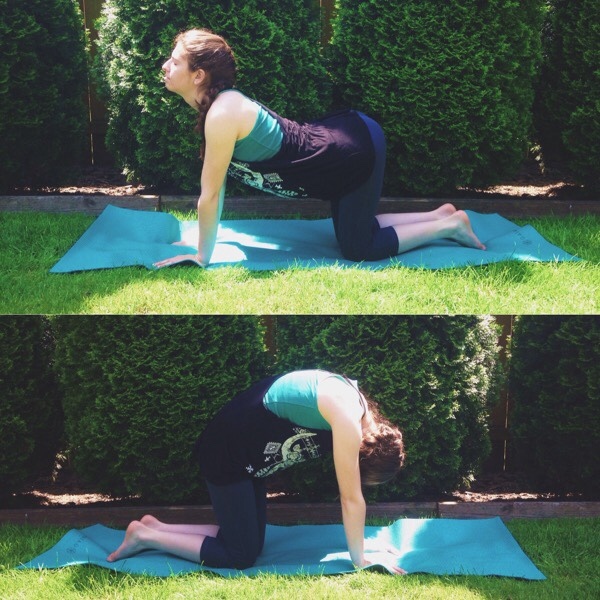 Move back onto your hands and knees, and engage your spine in cat and cow. Bring your left foot forward, then your right foot forward, and reverse Swan Dive. Stand in Mountain pose, and bring praying hands to heart center. Bow your head slightly, and end your yoga session with a hearty "Namaste." I have been practicing yoga throughout the day. I woke up with Downward Facing Dog, and then I did Cat and Cow. I did a mini sun salutations before I began my blog projects, and I have been doing little yoga poses in between editing photos, and blogging. It feels amazing! 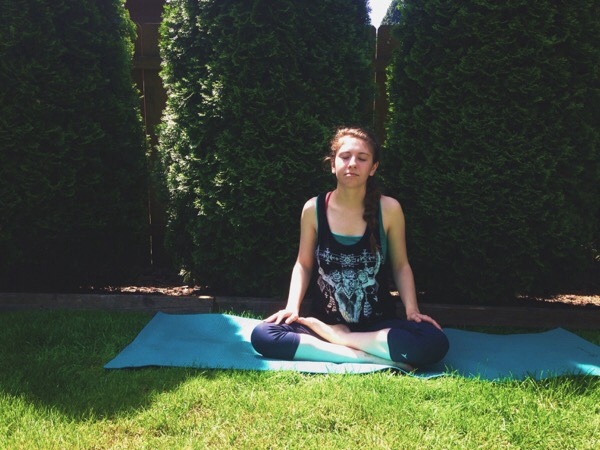 I loved doing my yoga outside for this post. The sun felt so good on my skin, and the beautiful day brought positivity and productivity. I even welcomed the bugs that landed on my mat, and that landed on me. I am in their territory, so I welcomed the little bugs that landed on me until they flew away on their own. It was a lovely yoga session. I am excited to extend of these poses into a deeper stance. I love bettering my body. If you have yogi friends, or friends who are interested in the practice of yoga, share this post with them! Have a peaceful Friday. Namaste.